OGI Digital wants Canadian dealers who might already be familiar with Online Guided Intelligence (OGI) stemming from its recent introduction to acquaint themselves with a new tool intended to collect insights into who visits their dealerships — and their competitors — each day. The new solution — Pulse — can empower dealers nationwide to learn who is physically visiting lots. OGI Digital explained the software built and the subsequent data collected is all compliant with Canadian privacy laws. For example, the company insisted only contact names and addresses are provided in the output to adhere to legal requirements. Coupling this location-based data with DMS data readily in the hands of dealers can provide a multitude of ultra-targeted marketing opportunities. The software can monitor all dealer locations in the country and provide an analytical view of the shopping behaviors of potential and active vehicle buyers. The reporting functions can allow marketing managers to understand better how consumers are interacting with their lot and marketing. However, OGI Digital pointed out that perhaps even more powerful is the marketing play to “conquer those consumers on other lots and bring them in,” as Kelly puts it. If consumers have left the lot and moved onto another around the corner, you will know and can target those defectors with marketing communications. Pulse is software developed and deployed currently in the United States by Digital Data Solutions. The system has been active in the U.S. now for more than a year, representing most major OEMs in its client dealer network and is live in all 50 states. 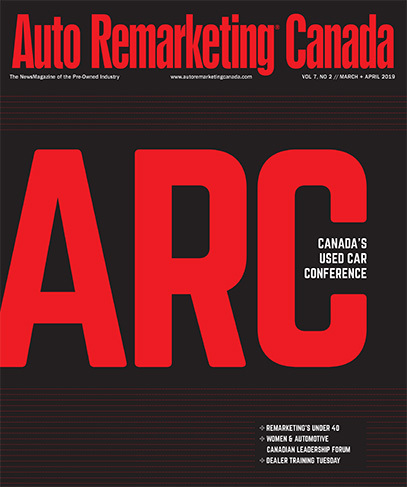 OGI Digital is the exclusive provider of Pulse technology in the Canadian auto retailer market. In Canada, Pulse will report on more than 20,000 customer records per day. The software developer leverages access to location data from more than 90,000 common applications running on smartphones. Digital Data Solutions acknowledged the quantity of data the applications manage is immense, which required and passed rigorous load testing before launch. All Canadian data is hosted and managed at tier one facilities in Canada, according to the companies. Line emphasized all aspects of the tool have been heavily vetted by privacy council to ensure compliance.